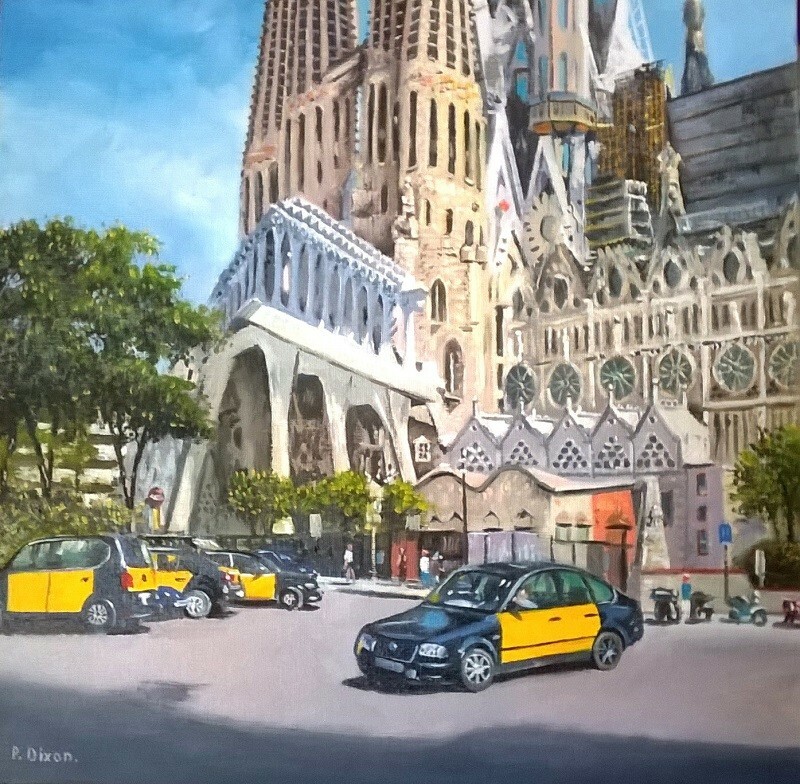 Description: A view of Gaudi's Sagrada Familia still under construction in Barcelona with the black and yellow taxis that can be seen everywhere around the city. The two seem to go together making the location instantly identifiable. It is painted in oils on a canvas panel and is ready for you to frame to your tastes.